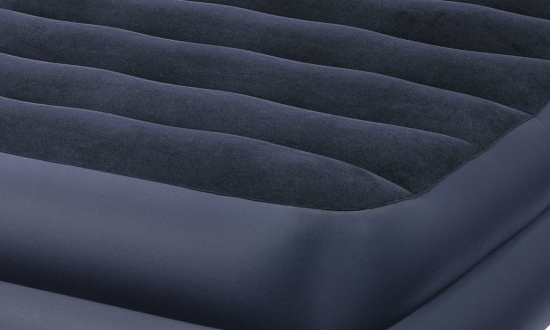 Inflatable mattresses are great to provide a soft and comfortable sleeping place during outings. But in the woods or on the river can easily damage the mattress, making it unsuitable for recreation. Repair kit, which are equipped with some models of inflatable mattresses. If this set is not complete, then a small flap of leather or rubber, super glue. First you need to determine the puncture site. To do this, inflate the mattress and inspect it, listening to the sound of escaping air. If you locate a puncture is not possible, place the mattress into water. The bubbles will rise to the surface of the water in the place where the damaged mattress. Outline the damaged area with a pen or marker, and wipe dry the mattress in this place. If the mattress you have purchased the repair kit, carefully read the instructions for using the glue included in this kit. Apply glue to the patch in accordance with the manufacturer's recommendations and seal the injury on the mattress. If the repair kit is not, prepare a small segment of a soft leather or rubber. Cut the patch with rounded edges – this circuit is better than glued, providing a better fit edges. Apply super glue on the patch and immediately apply it to the marked location. Press the patch on for a few seconds until the glue dries. It takes less than a minute. Then you can inflate the mattress and use it. To avoid damage to the mattress, do not put it on the ground. Use a bedspread or quilt as the backing.